I'm really depressed. 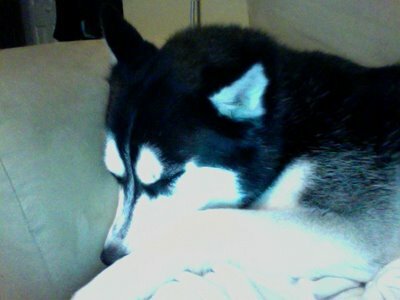 I have been working really hard this evening to catch up on blogs. I have read so many blogs with pictures and movies of pups playing in their new snow. 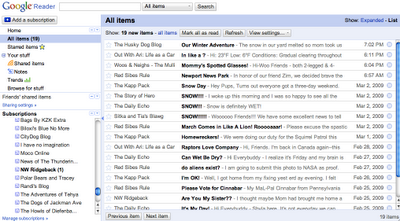 Then I went back to Google reader and I see that I still have tons of blogs about snow! (I'm not sure if you can read it in this picture.) How much can a girl take? It's been sunny and in the mid-50s here. That's not snow weather. We're even getting flowers popping out of the ground. Where's my snow?